I'm a little ahead of schedule with my "Loving" post this week, but I just couldn't hold it in any longer. A few miracles lately have made me so grateful. And in the rush of good feeling that comes with relief, I am bubbling with enthusiasm about a few of my new favourite things and some blessings as well. Firstly, I'm grateful for friends. Friends who suggest other options, who ask questions, who don't take no for an answer. Friends who push you to dig deeper and find a better solution, a better doctor. Other friends who come around when you need company, who sip tea with you and fold your washing. A kind friend who takes your call when you ring her up, blubbing over nothing in particular, just everything. Then turns up on your doorstep with your favourite flowers. Nothing brightens a crappy day like flowers from a friend. Putting them in my pretty jug makes me feel very SouleMamma. ... a Care Package. Sure, she says it was just stuff from her cupboard, but still! Chamomile tea for calmness, coffee and hot cocoa, Whittakers mini-chocolate bars... mmmm, can't wait to dive into those! Hey!?! Where are my mini-chocolate bars??? Who took them?? WHO TOOK MY CHOCOLATE? YOU KIDDDDSSS!!!!!!! Sometimes its not the new things that make you feel grateful. Sometimes its the stuff you already have that a friend points out to you; blessings you see with new eyes. Like my space, here, in my room. A visiting friend just came in to use the internet and went, "Wow, what a gorgeous space!" "Yeah it is when its tidy..." I replied; blinded to my blessing by piles of clothes and stacks of books. "No, I mean, really. It's like, wow. Amazing. Gorgeous." And she's right. I'm looking at my space with new eyes thanks to my friend. 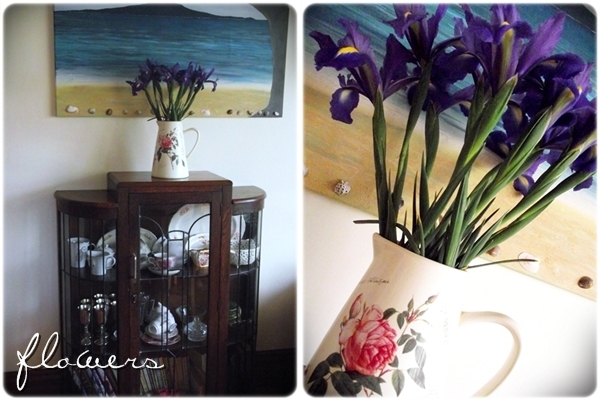 It's a winters day but the sun is streaming in; I can blog here, paint here, curl on the couch and read a book here. This space is a blessing. And I am grateful. I'm also grateful for Books. In particular a box of classic children's books dropped off by my sister after a clear-out. Tom Sawyer and Huck Finn. Kidnapped and Heidi. Grimms and Andersens Fairy Tales. It has become my habit in the last few weeks to read to my older two before bed. Its a nice way to end even the toughest day (and there's been a few of those). We rug up in PJs, snuggle under blankets. I hear Miss Fab's reading; prod Dash into doing a bit too. And then its my turn to read aloud. 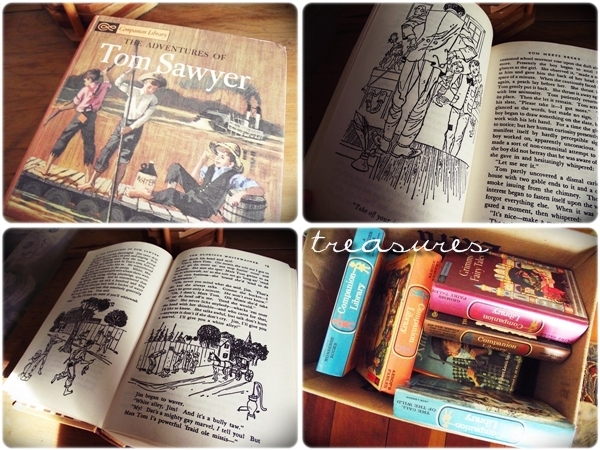 We made a start on Voyage of the Dawn Treader (a bit above them) and Captain Underpants (a bit beneath me)... but when my sister deposited this box of literary treasures on my lounge floor, I just knew what it had to be: Tom Sawyer. Of course, being published in 1875, this book is rather wordy and overly descriptive (I skip those bits). There are plenty of phrases and practises that need translating; "I'll lick you with my switch..." among others. But its a great story. And the kids are eating it up. Begging for it every night. It's been fun discovering that Tom is the double of my Dash! I'm going to have to tell you all about it in a whole other post, which I will title: "My Son, Tom Sawyer." What can I say? I Love Reading to My Kids! I am Mrs Readalot after all. And what kind of Bookworm would I be, if I couldn't pass along my love of reading to my offspring? What a joy to impart to them the enjoyment that comes with turning pages and discovering adventure. Love it. Loving these Great New Bloggers. 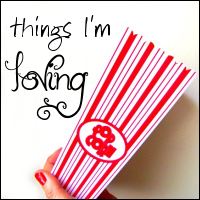 I just had to share with you some of my new bloggy finds. These are girls who are pretty new to blogging, but whose blogs I have instantly connected to and who I think deserve a wider audience. I love Dee at "Books&Bits&Pieces"
I blog-met Dee just this week after she sent me a lovely encouraging email and mentioned to me a new photography meme she's started. When I finally got around to visiting her link, I fell in love. Dee is a fellow-kiwi. Her photography makes me gasp. Her blog is beautiful in its simplicity. And bonus - she makes me laugh and she's a fellow bookworm! 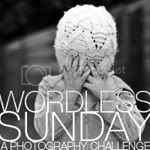 I hope you will go visit Dee, follow her and even join in her "Wordless Sunday" meme. Dee deserves a bigger audience. And you need to read Dee! I love Abby at "Abby Gabs"
I blog-met Abby on my SITS day. She left me a great comment and I just had to go check out who she was. I fell in love with her blog straight away because it is simply put - hilarious. Abby has no qualms about Photoshopping herself into all kinds of hilarious situations. I have yet to visit Abby without laughing out loud and leaving with a smile. Abby is pretty new to blogging and has just 27 followers. I want to help her out with that because she is a Great Read. Seriously, having a bad day? Read Abby Gabs and smile. 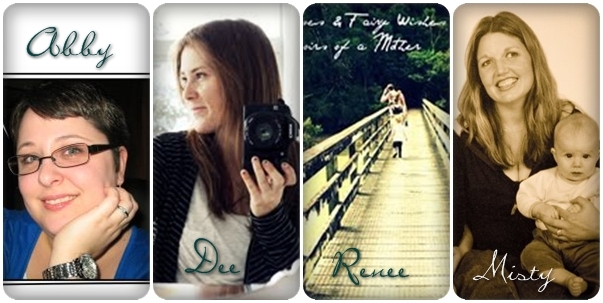 Renee is another newbie kiwi blogger (since March this year) and I loved her blog the first time I visited. Her photos are delicious. She writes beautifully and engages me with every post; she's honest and articulate. I love her take on life and mothering and find we have many things in common. Renee is a natural blogger/writer and I'd love to see her blog get the bigger audience it deserves. I Love Misty from Raving at Midnight. My list wouldn't be complete with my friend Misty's brand new blog. I helped her set it up when she came over a few weeks ago so she is hot off the press. Misty is an inspiration. Her amazing story inspired one of my earliest blog posts. 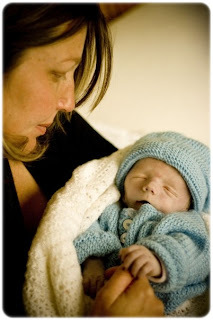 This week she is marking the third anniversary of the still-birth of her precious youngest child, Jethro. Don't expect a sob-story. Expect to be moved and inspired. In real life Misty is down-to-earth, real, irreverent and hilarious. So I am expecting her blog to be more of the same. I hope you will go and visit Misty, follow her and help her mark this special anniversary. I think you will find her worth the visit. So when you go visit my lovely friends, make sure to tell them that SIMONEY sent you, OK? Let them Feel the Lovin'. ...in the meantime: What are you Loving/Grateful for? Am on my way to check out the other links!!! p.s. sorry to suffocate your comment box so many words!!! p.p.s. I just love you. Did I say that already?! Here I come along for my daily dose of Simoney only to find MEEEEEEEEE gracing your page!!! So excited! I got a bit dizzy I was that flattered hehehe ;-) Thanks so much for your kind words, you've been so lovely ever since coming across my blog when I started it, woohoooo someone actually reads my bloggage! I have noticed you have some pretty AWESOME relaxing possys at your place - cosy bedside tables/me spaces - I need some serious lessons in me space (I say as I boot the kids toys out from under my chair and scrub some pasta sauce off my computer screen from their dinner tonight). Love those vintage books - I'm totally going to raid my grandparents farm house next time I'm there for some lovelies. I've been loving Dee's page too - she's super talented - and looking forward to having a good look through your other suggestions tomorrow yip de dooo! Awesome post friend - loving it! So glad that He has got you surrounded by peeps who can keep an eye out for you and speak into areas that need it!! Simone, I love this post! And your space, is just gorgeous. I'm kind of envious, as I hog a corner of my sofa and just hang out there most times. Thanks for pointing out the 4 lovely (new to me) blogs, I will go see them now! And I can't wait to meet the other bloggers you introduced in this post, as well. Off to check them out now! Hey gorgeous girl!! Im loving that you are surrounded with such beautiful friends!! Your space IS gorgeous (can I skite and say Ive slept in that space and hung out and blogged there with you too!!! lol) The moment I saw it I was in love with your space!! How lovely to have awesome friends to be there when its really needed, and remind you of the great things you have going in your life, thats very special. GORGEOUS POST! Love the clean new look of your blog and header too. Your 'space' really is divine - before I read your friend's comment I was already looking at the photograph and thinking, 'I like!'. I also LOVE reading to my children. My oldest can read by herself happily - but still likes to be read too as well. I was in the library the other day and delighted in coming across four teenage boys, sitting together and taking it in turns to read aloud to one another from the same book! Totally cool! you have some wonderful friends by the sounds of it and this is always something to be grateful for. what a great care package you received?! it is lovely when someone does something for you that is both so simple and so generous, isn't it?! nice, you've got good friends. like your blog and love when people share other great reads.